After seeing quite a bit of migration on the radar when I went to sleep last night, I got up early with expectations that Bluff Point in Groton, CT would produce a quality morning flight today. Boy was I wrong! Winds were essentially calm at Bluff at dawn, which resulted in a nearly non-existent flight. A flyby calling DICKCISSEL was the only highlight. After bailing from Bluff I headed to Old Lyme for some low tide shorebirding. The mudflats at Watch Rock held a juvenile BAIRD'S SANDPIPER and my first three WHITE-RUMPED SANDPIPERS in CT for the season. Two GREEN-WINGED TEAL were also my first southbound of the fall, right about on time. Down to Griswold Point, which upon arrival had some shorebirds working the flats, most notably a juvenile RED KNOT, a flyby calling WHITE-RUMPED SANDPIPER, and an impressive flock (for the time of year) of 21 juvenile "Eastern" WILLETS. 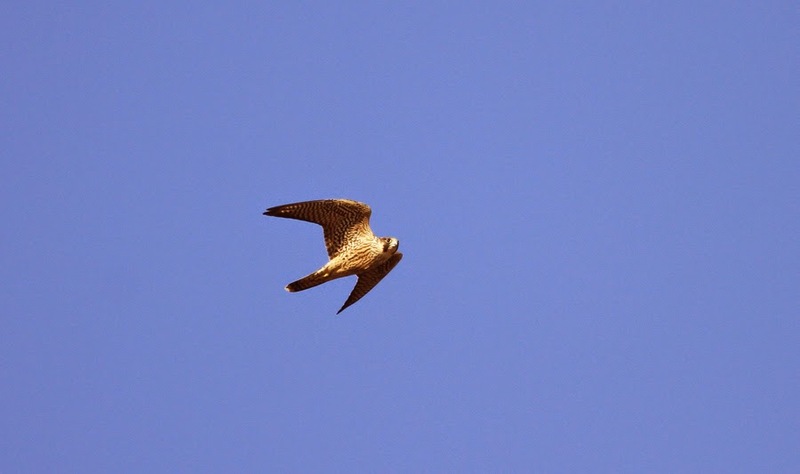 An immature PEREGRINE FALCON strafed the flats a few times, causing most of the birds to leave and not return, at least for the half hour or so I lingered after that point. As with my earlier visits this year, there was no roosting Common Tern flock. This location, when COTEs are present, is a reliable place to view post-breeding Roseate Terns up close. Not this year. There were a few LEAST TERNS hanging around, including two large chicks that have yet to fledge. I took a spin through Hammonasset Beach State Park in search of grasspipers, hoping to run into a Buff-breasted. 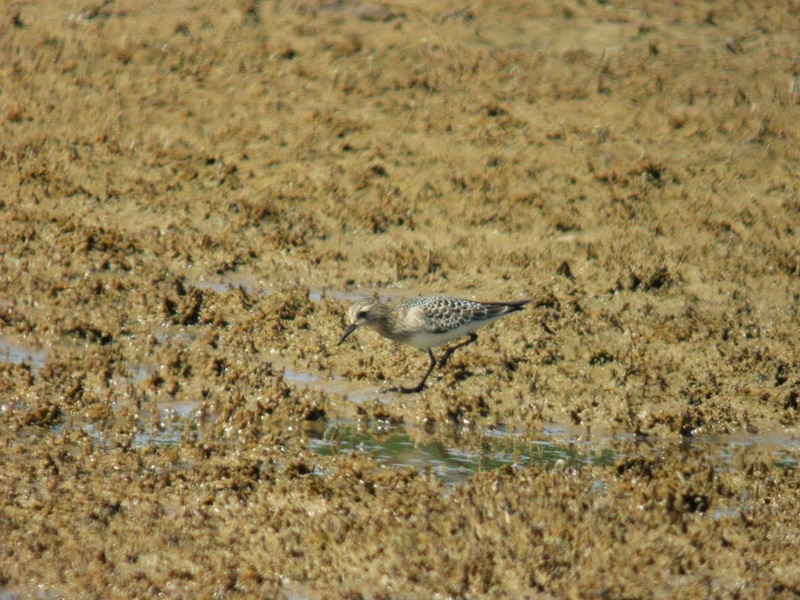 No luck with that, but there was another BAIRD'S SANDPIPER feeding in the "boulder pool" at Meig's Point. 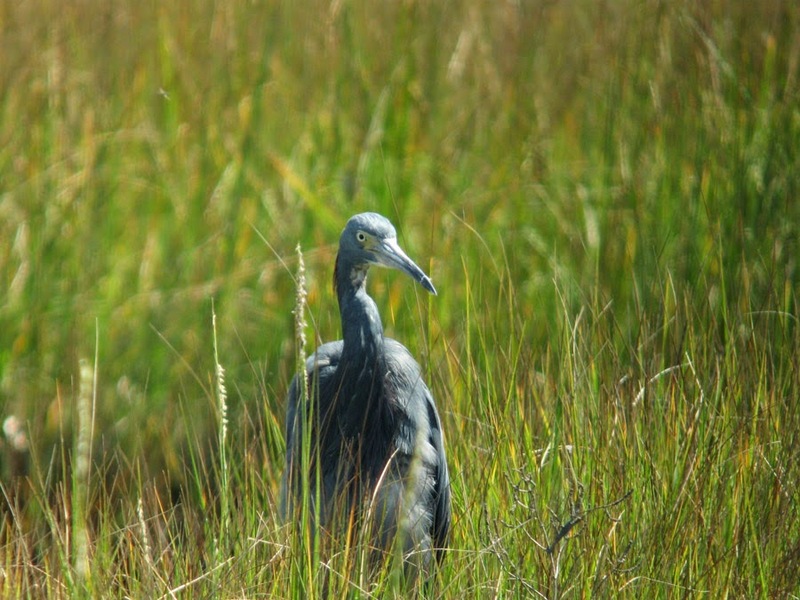 Otherwise there wasn't much except for the reliable LITTLE BLUE x TRICOLORED HERON hybrid. The last stop of the day was the freshwater marsh at Shell Beach Road in Guilford. 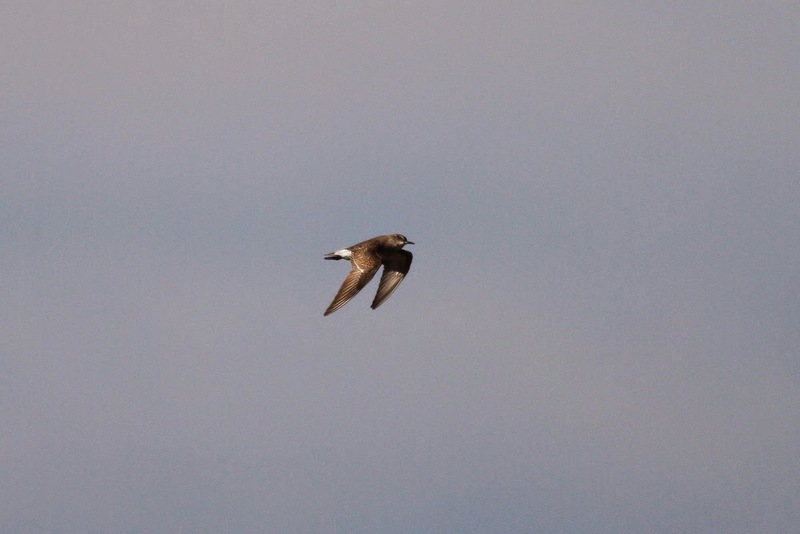 There was no sign of the Wilson's Phalarope that had been around for several days, but there was yet another BAIRD'S SANDPIPER among the peep that soon took off by itself and headed west. In all, fourteen shorebird species for the half-day...a very modest total for the date.